If you’ve thought about being a dentist, there are some steps you’ll want to take. You have to start by graduating from college with a four-year degree. It’s recommended that you major in either biology or chemistry for the best chance of success in dental school. You might also consider attending a college that has a pre-dental program. They’ll work with you to pass the Dental Admission Test and get accepted into the dental school you want. Before attending dental school, you need to pass your Dental Admission Test. It contains almost 300 questions involving natural sciences such as biology, physics and chemistry. Your next step is to spend four years getting the training you need at dental school. This will include clinical rotations and coursework. 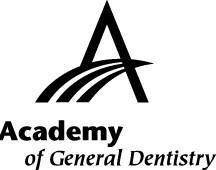 It’s essential that the school is accredited by the Commission on Dental Accreditation so you receive your dental license. You don’t need to become a general dentist. There are several other avenues you can take from periodontics, orthodontics, oral surgery, pediatric care, endodontics and more. Some of these careers will require additional training. Once you’ve graduated, you need to take the written and clinical exam to obtain your dental license. Topics on the exam include ethics, dental anatomy and biomedical sciences. Once you’ve reached this point, you are ready to serve the public and care for your community. Whether you go to work with other dentists or you branch out on your own, you can be proud of the hard work you’ve put in that got you this far. As you transform smiles, you’ll see that every moment of schooling was worth the effort. Need to schedule an appointment with a leading Auburn, MA area dentist? Call our office today at (508) 987-8125, or click here.